Rheumatologists at the UT Southwestern Monty and Tex Moncrief Medical Center at Fort Worth are committed to helping patients with rheumatic conditions. Rheumatic conditions include any diseases that cause pain, stiffness, and/or swelling in joints or other supportive body structures, such as muscles, tendons, ligaments, and bones. Arthritis is one of the most common forms of rheumatic disease. Patients who are treated at the Moncrief Medical Center have access to the entire UT Southwestern medical community. 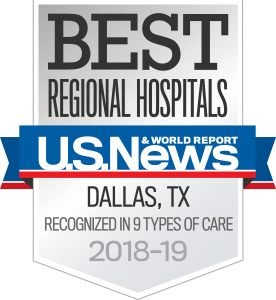 UT Southwestern Medical Center’s Rheumatology Program is recognized as one of the nation’s leading clinical and research centers for rheumatic diseases. Combining expert and compassionate care with state-of-the-art medical resources, UT Southwestern offers accurate diagnostic services and effective treatments to improve the quality of patients’ lives. Our focus on clinical research provides our patients access to the most advanced therapeutic techniques available to treat arthritis and rheumatic conditions. If you have been previously diagnosed with a rheumatic condition, please bring copies of your medical records to your first appointment. Our staff is happy to assist you. It is very important that you do not run out of your medication. Be sure that you have sufficient refills to last until your next appointment with your rheumatologist. We are happy to provide you with a written prescription upon request.